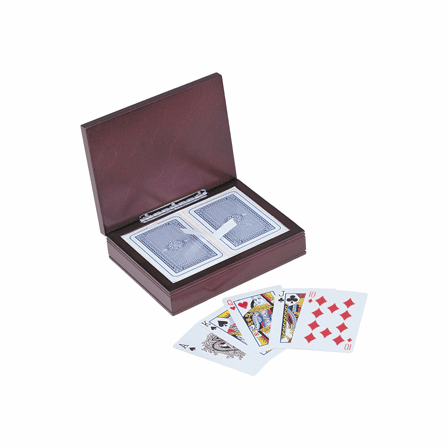 The Friday night poker buddies will be green with envy when they see this handsome rosewood finish playing card box! 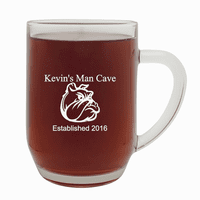 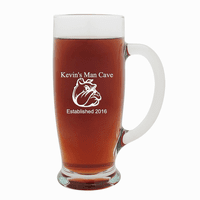 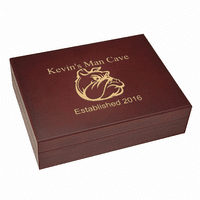 The box features our classic "Snarling Bulldog" mancave design, and can be personalized with a name and "date of establishment", available at no extra charge. 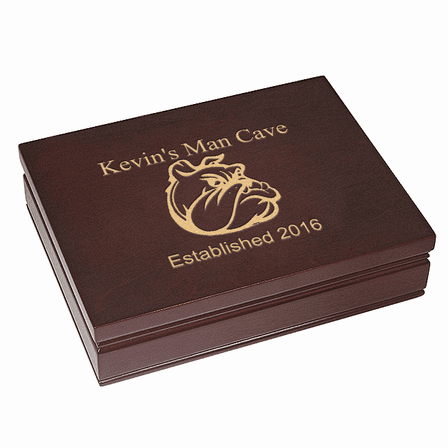 The set includes two beautiful decks of cards, and the compact size makes it easy to pack in a briefcase or in luggage for business trips and vacations. 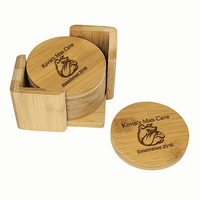 This set comes packaged in a gift box. 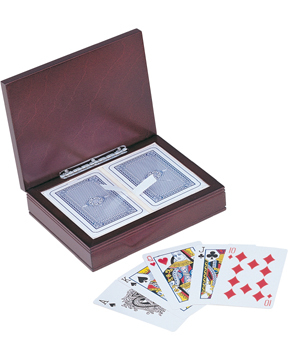 Outside box dimensions: 5 3/4" x 4 1/2" x 1 1/2"
The box was nice but didn't fit Standard size poker cards I bought to go with. Only fits smaller, cheap cards which come with it.